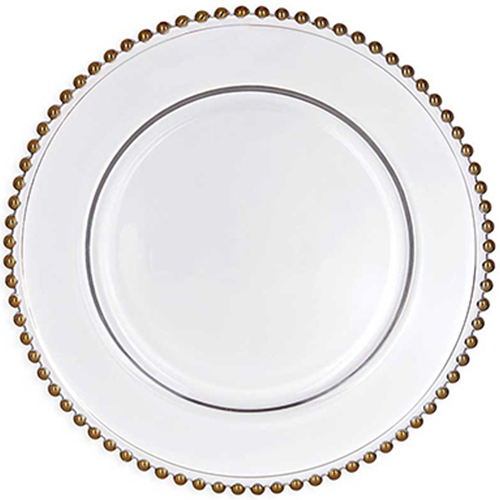 Our 13-Inch Gold Beaded Charger Plate adds sparkle and sophistication to your table settings. It has a solid glass construction and glamorous gold beaded rim. Use under a dinner plate or as a decorative center piece for an easy way to instantly upgrade the elegance of your dining table presentation.